So I've been very busy over the last few weeks with some exciting plans on the horizon which I won't say much about just yet. Part of the reason I have been so busy is I have been really busy with cake orders most weekends. A good complaint I'll admit, because it's so nice to have an excuse to pull out my sugar craft tools and get creative. This evenings cake is one I made for a 30th birthday a couple of weeks ago and never got around to sharing. Obviously for a massive Spurs fan, this cake was the perfect way to mark a significant milestone with friends and family. I opted for my favourite (and very easy) Perfect Chocolate Cake with chocolate fudge icing for this creation, though you could just as easily choose any filling. The decoration for the cake was achieved using coloured roll out fondants and food colouring with vodka and a paintbrush for the finer details. Clear alcohol is a great way of achieving smooth and accurate lines when painting with food colouring and dries much quicker than water. 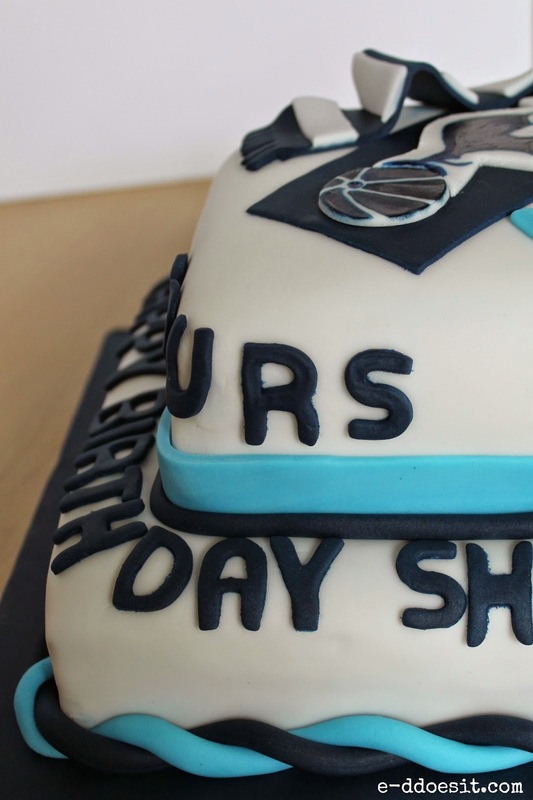 Being a Spurs fan myself, I absoloutely love the design of the cake. 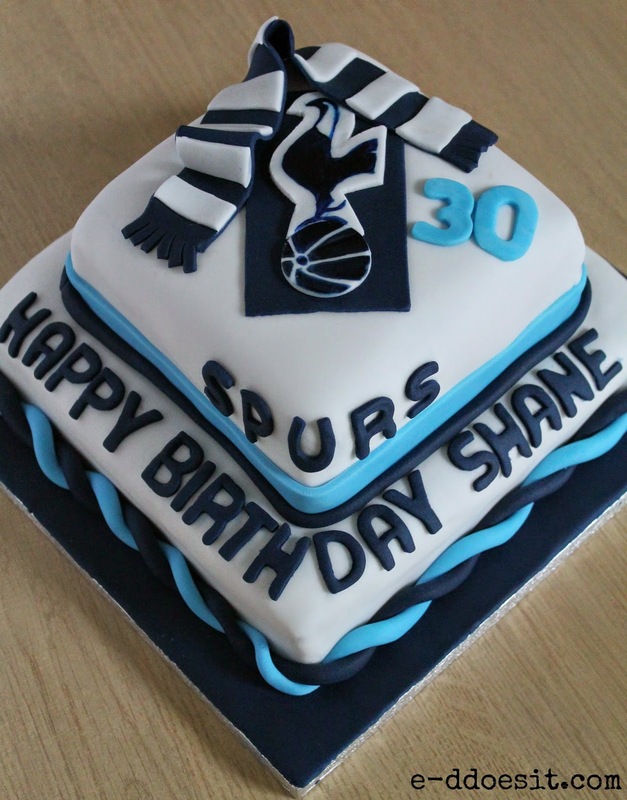 Its a perfect design for a die hard fan of Spurs, specially when he is 30 years old.